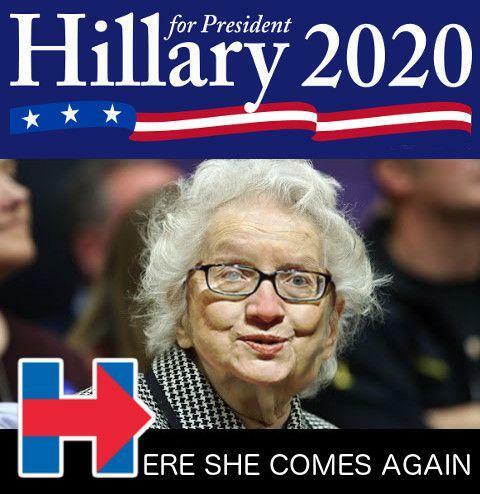 Former Clinton Lawyer Urges Hillary Not To Run In 2020 "For Her Family's Sake"
The last week has seen mounting speculation that former Democratic presidential candidate Hillary Clinton is seeking to make a “comeback” and challenge Donald Trump a second time in the next U.S. presidential election of 2020. Rumors of another Clinton campaign in the works comes amid the former candidate’s recent uptick in public appearances and fund-raising appeals, and after writer Michael Goodwin floated the idea that Clinton could be gearing up for a presidential run in 2020 on Saturday in the New York Post. As Mint Press News' Whitney Webb writes, Clinton’s recent return to the public arena coincided with her efforts to challenge Trump’s “zero tolerance” immigration policy, particularly the scandal caused by separations of migrant families at the U.S. border. Even though Clinton has long advocated for building a border fence and similar “zero tolerance” immigration measures comparable to those of Trump, she used the outrage to launch her return to the public eye, raising more than $1.5 million for separated families. Clinton has also used the recent resignation of Supreme Court Justice Anthony Kennedy as another rallying point, having announced a new partnership with groups contesting Trump’s judicial nominees soon after Kennedy’s announcement. Her next scheduled public appearance will take place this weekend in New York’s central park during Ozy Fest. We are sure President Trump is chomping at the bit to take another shot at the former Secretary of State (and what about Dwayne Johnson)? 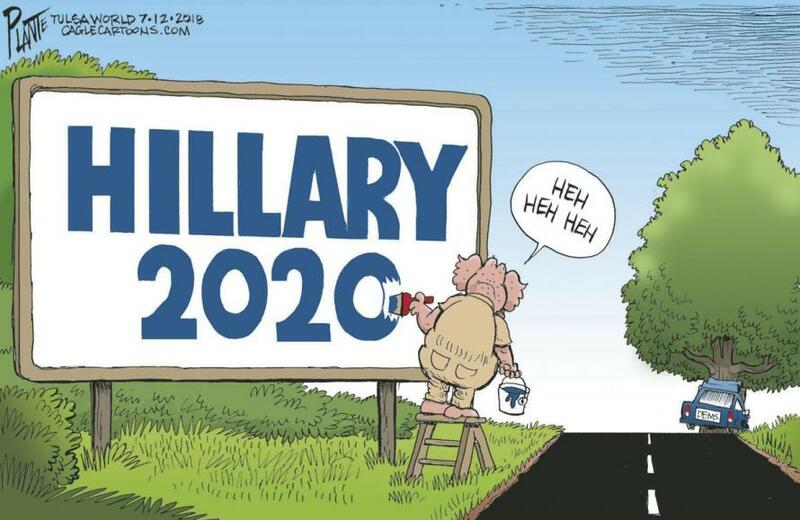 However, as The Hill reports today, it's not just the Democrats that are unsure if she should run. 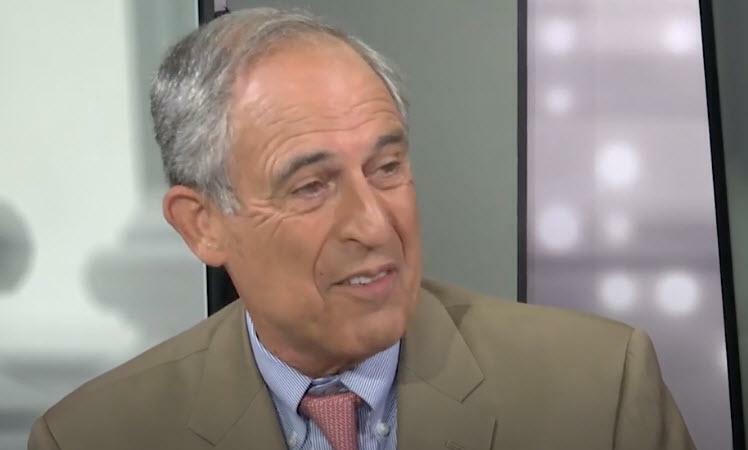 Former special counsel to President Bill Clinton, Lanny Davis, told Hill TV's Krystall Ball and Buck Sexton on 'Rising' that he would advise Hillary Clinton against launching another presidential bid. “She has so much to give in public service, and for her sake and her family’s sake, she has so much to give in public service, I hope she doesn’t put herself through it again." Davis was hired to join the legal team of President Trump's former fixer, Michael Cohen, last week. To outside observers, rumors of another Clinton campaign may come as a surprise, given that she – along with Trump – ranked as one of the most despised political candidates in U.S. history. 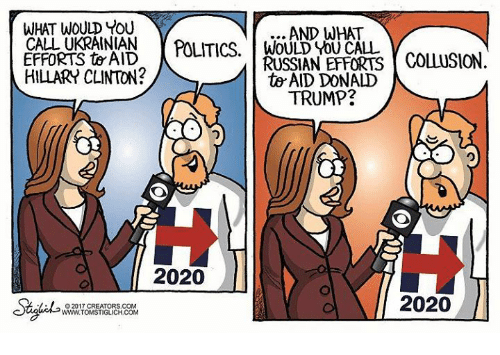 However, Clinton’s difficulty in accepting blame for her defeat – blame which she has continued to deflect on unproven “Russian meddling,” James Comey, misogyny and a host of other factors – suggests that the woman who has come the closest to becoming an American president still feels that she is as electable as ever, despite popular sentiment to the contrary. Whether another embarrassing defeat for Clinton would be necessary to permanently dislodge her presidential ambitions is anyone’s guess.